Campaigning for the three-tier panchayat elections in the wake of several court verdicts ended on Saturday evening, setting the stage for a contest in 66 per cent of the total seats. Violence marked the run-up to the poll process almost upto its eve, with Trinamool Congress leader Arabul Islam being arrested at the orders of Chief Minister Mamata Banerjee after the death of a supporter of an Independent candidate at Bhangor on Friday. Polling for 31836-gram panchayats, 6158 panchayat samitis and 822 zilla parishads across 20 districts of Bengal will be held on 14 May. A total of 5,08,35,002 people will cast their votes from 7 a.m. to 5 p.m. on that day. Votes will be counted on 17 May. Repolling will be held where polling percentage is 15 per cent more or less than the average polling percentage of the tier of the block concerned. This will be for the first time in panchayat polls that people will be able to cast their votes by displaying their Aadhaar cards. Documents other than EPIC include passport, driving licence, service identity cards with photographs issued to employees by state, Centre and undertakings, passbooks with photographs issued by banks or post office, PAN card, MGNREGA card, health insurance smart card, pension documents, SC/ST/OBC certificate, freedom fighter identity card, arms licence with photograph, physically disabled certificate with photograph, bidi worker and Aadhaar Card. Around 71,500 armed police, 80,000 civic volunteers and 1800 personnel from other states have been deployed for conducting the panchayat elections and poll related tasks. One armed personnel and a lathi-wielding constable have been deputed in each of the 47,451 booths. Security forces, as well as 2.4 lakh polling personnel, have already left for the districts with those deputed in remote areas of north and south 24 Parganas already reaching their respective venues. There would be 190 observers of whom 20 are special observers who would monitor and ensure peaceful polling in the panchayat elections. The West Bengal State Election Commission will operate control room from on Sunday and people can call up for any poll related problems. The control room numbers are 033-22805803, 033-22805804. On the other hand, an election cell has been set up in Nabanna that will keep in touch with the commission’s control room. Birbhum: Zilla Parishad has 42 seats of which the entire is uncontested. Panchayat samity has 465 seats of which 405 are uncontested. Gram Panchayat has 2247 seats with 1967 uncontested. Burdwan West: (first three tier panchayat polls in the district after its formation) Trinamul Congress has won one out of total 17 zilla parishad seats, 95 out of 161 panchayat samity seats and 532 out of 833 gram panchayat seats. 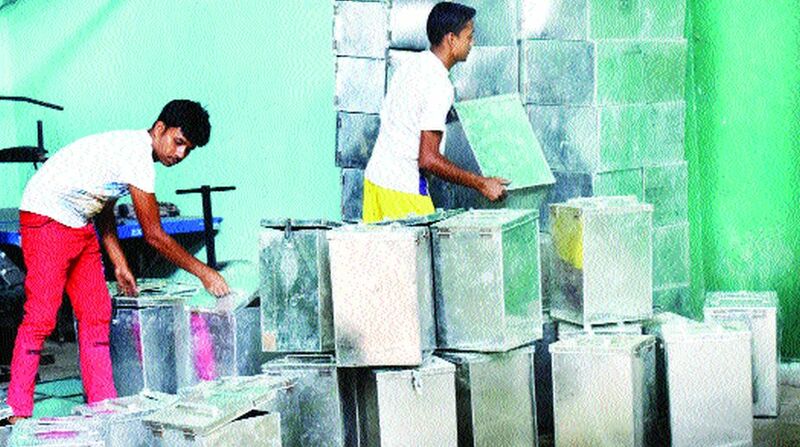 Purulia: Polls will be held in all 38 Zilla Parishad seats. South 24 Parganas: Zilla Parishad has 81 seats of which 28 are uncontested. Hooghly: Out of 3192 gram panchayat seats1358 are uncontested, out of 607 panchayat samity seats 261 are uncontested and out of 50 zilla parishad seats 13 are uncontested. Nadia: Out of 47 zilla parishad seats three are uncontested, out of 541 panchayat samity seats 82 are uncontested and out of 3209 gram panchayat 518 are uncontested. Burdwan (East): Out of 58 zilla parishad seats 17 are uncontested, out of 618 panchayat samitis 396 are uncontested, out of 3234 gram panchayats 2096 are uncontested. Bankura: Out of 46 zilla parishad seats 31 are uncontested, out of 535 panchayat samiti seats 341 are uncontested, out of 2505 gram panchayat seats 1593 are uncontested.